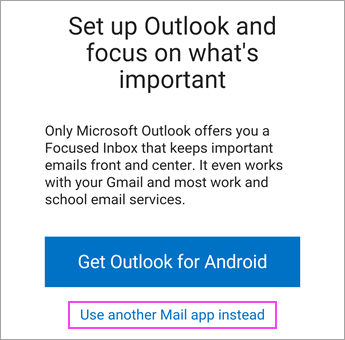 Microsoft recently made some changes to push the adoption of the Outlook app on mobile users. This could cause some synchronized accounts to fail. If you are having trouble resuming mail sync, please remove the account, reboot your device, and then add the account back. You may receive an email from Microsoft that looks like this. It you choose “Use another mail app instead”, sync may take a couple of hours to resume on applications other than Outlook. If sync fails to resume after two hours, you may need to contact Upic Member Services at 877-459-5489 for additional troubleshooting.